but heard on the radio for much of the '80s. It was one of the strangest music videos I've ever seen. This guy was wearing a top hat and singing. Suddenly this girl who was essentially Alice in Wonderland, became a cake, and people started to eat pieces of her as the words, “Don’t Come Around Here No More” played. This was my introduction to the artistry and genius of Tom Petty and the Heartbreakers. When I heard Tom Petty passed away a few weeks ago, I was reminded of how much of his music I really knew and loved. When I was in Grade 10, I started listening to music on LA-107 FM and got my first ghetto blaster that Christmas of 1984. LA-107 was an album-oriented rock station, so they focused as much on albums as singles. It was in March of 1985 that I started hearing this single that sounded a bit like a whine, but was also pretty catchy. 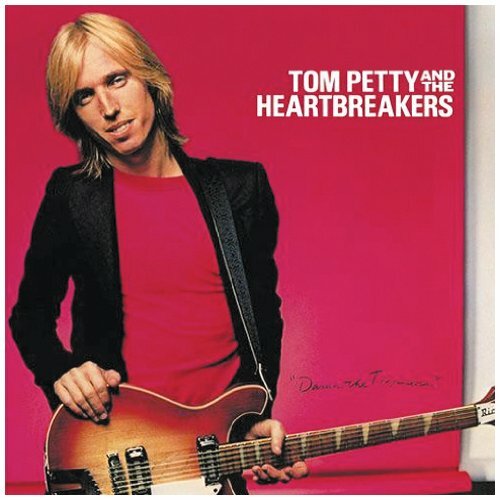 It was “Don’t Come Around Here No More” by Tom Petty and the Heartbreakers. A few weeks later, I was watching “Good Rockin’ Tonite” on a Friday night and host Terry David Mulligan was doing his album countdown and mentioned “Southern Accents”, the album that contained “Don’t Come Around Here No More”. A few weeks after that, I went swimming in Phys Ed class and one of my classmates named Bill Anhel told me about the video. That was my initial exposure to Tom Petty and the Heartbreakers, and that was it. The gaps got filled in by the radio after that, most notably a singles-oriented AM station in Lethbridge called 1090 CHEC. I realized how prolific Tom Petty was. I heard the songs, “Break Down” and “American Girl”, which were both off their self-titled debut album. Then there were “Don’t Do Me Like That”, “Here Comes My Girl”, and “Refugee”. It turns out all three of those singles were off Tom Petty and the Heartbreakers’ third album entitled, “Damn the Torpedoes.” I actually first encountered that album when I joined Columbia House and kept seeing it listed in the catalogue’s discount album listings. As the decade came to a close, Tom Petty released a solo album in 1989 called “Full Moon Fever” that may have been his biggest effort yet. It contained the singles “I Won’t Back Down”, “Runnin’ Down a Dream” and “Free Fallin’”. We used to go to this student pub right in res call The Ship, and we would end up at my buddy François’ afterwards. Invariably, we would all mellow out to “Free Fallin’” which he always played. Tom Petty also teamed up with other musicians to achieve musical success. The first big hit was “Stop Draggin’ My Heart Around,” a duet he sang with Stevie Nicks, best known as the lead singer of Fleetwood Mac. The single was the first release off “Bella Donna,” Nicks’ debut solo album. The song would peak at number three on Billboard’s Hot 100 singles chart, and stay at that spot for six weeks. It would not be the last time Tom Petty collaborated with other musicians to produce hit music. Near the end of the decade, Tom Petty was part of another collaboration, this time with three legendary musicians. It was 1988 when he teamed with Bob Dylan, George Harrison and Roy Orbison to form The Travelling Wilburys. They released the single, “Handle with Care”, that went to number two on Billboard’s Mainstream Rock Tracks chart and number 45 on the Hot 100. It was part of the album, “Traveling Wilburys, Vol. 1”, which was nominated for several awards and won the Grammy for best rock performance by a duo or group in 1989. Orbison died in December of 1988. When I heard they not only released another single called, “End of the Line”, but had a video to go with it, I wondered how they would handle Orbison’s death. I was living in student residence then and had actually gone shopping at West Edmonton Mall with a floormate named Mike Field. He had every intention of buying the Traveling Wilburys album, but changed his mind at the last minute. Well, a few weeks later, it was Mike who told me he had seen the new video. I asked how they handled Orbison’s death. Mike said it was with the utmost of class. They had Orbison’s guitar leaning up against a rocking chair, then showed his picture. That was very classy, I thought. The Traveling Wilburys would release a second, and final, album in 1990, but it did not have the same level of success. Tom Petty and the Heartbreakers would put out another album in 1991 called, “Into the Great Wide Open”, featuring the title track and another catchy tune entitled, “Learning to Fly”. Two year later in 1993, he released a greatest hits album with the original track, “Mary Jane’s Last Dance” which was another hit. He would keep producing music until his unexpected death at age 66 about a month ago on Oct. 2, 2017. It has become cliché to say, but Tom Petty was another part of the soundtrack of the 1980s for me. Whether it was with his band the Heartbreakers, in a duet with Stevie Nicks, part of the Traveling Wilburys or on his own, his music was always around. Even last week, when I was making the hour-log drive from Lethbridge back home to Claresholm, not one but two Tom Petty songs were on the radio. The music just made you tap your toe to the beat, learn the lyrics, and just get up and move. He told good stories and his ballads, especially “Free Fallin’” and later “Learning to Fly” stirred the soul. It is kind of ironic his band was called the “Heartbreakers” because his music was full of heart.